City of Monona, Wisconsin currently prohibits the keeping of any backyard fowl. 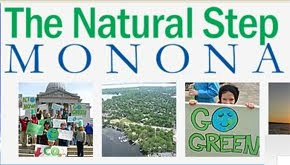 Monona Natural Step is a group of friends and neighbors, working to make their lives, and the life of their community, more sustainable — economically, environmentally, and socially. To that end, they’d like to see the outdated zoning laws changed to allow for a few backyard chickens.